Southern Textiles – Mattress Cover – QP0027 – Uncovered mattresses facilitate the perfect conditions for the breeding of dust mites which can cause allergies, asthma, eczema and rhinitis. These dust mites, which are invisible to the naked eye, live on the millions of skin cells and body fluids that humans expel every night. Protect yourself as well as your mattress by covering your mattress and box spring with Southern Textiles’ Bed Bug Prevention Pack.Made of high performance 100% polyester face fabricFeatures complete bed bug prevention in one easy packCalifornia king size features 2 sided zipper closure and rest all size features 3 sided zipper closureSuper stretch for added comfort and easy fitNon-woven, zippered box spring encasementLuxury oversized comforter. Fashion Bed – Mattress Cover – QD03XX – The Aere Crystal Gel Mattress Protector is a breathable and 100% waterproof barrier that will extend the performance of your mattress, while providing you and your family with a hygienic and comfortable sleeping area. Did you know a mattress can increase in weight over a period of time due to sweat, dead skin cells, liquid spills, dust mites and mold build up? This can cause staining to the surface and can void most manufacture mattress warranties. 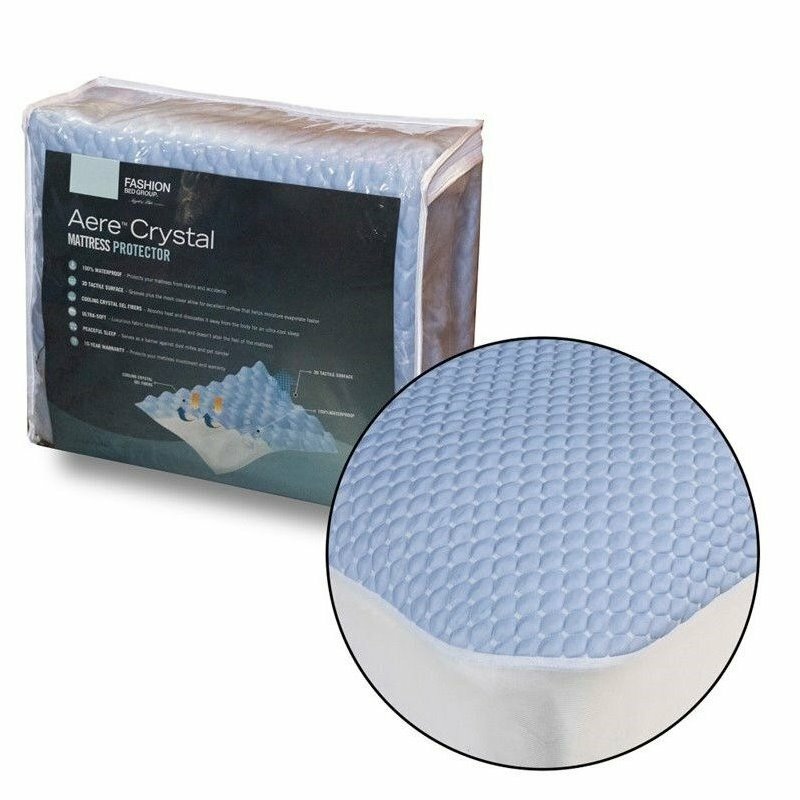 Aere Crystal Gel is designed with the use of innovative cooling crystal gel fibers that absorbs heat and dissipates it away from the body for an ultra-cool sleep. The revolutionary tactile technology 3D fabric is machine washable and allows for excellent airflow that helps moisture evaporate faster and providing a barrier against dust mites and pet dander. The luxurious fabric stretches to conform and doesn’t alter the feel of the mattress, allowing you to get a peaceful sleep. Deep corner pockets on the Aere Crystal Gel sheet stretch to provide an easy and sturdy fit to the mattress. The Fashion Bed Group Aere Crystal Gel is available in Twin, Twin XL, Full, Full XL, Queen, King, Cal King and Split King mattress sizes, and comes with a 10-year limited warranty. The Fashion Bed Group, a division of globally diversified Leggett & Platt Inc., is an industry leader in the production of fashionable beds, adjustable bed bases, top of bed textiles, bedding support and barstools. By keeping a close eye on the design community and other fashion and decorating sources, Fashion Bed Group stays on top of the trends and knows the right mix of finishes and innovative designs to continually provide quality crafted products at an exceptional value. Finish: Blue; Material: Polyurethane, Polyester; Twin size, 100% waterproof mattress protector utilizes fabric infused with crystal gel fibers to keep sleep spaces cooler than ever; Defends against stains, body fluids, moisture, dust mites, pe. Atlantic Furniture – Mattress Cover – M010X1 – A terry top mattress protector with waterproof barrier and allergy reducing fabric. Help protect your mattress from dust mites and stains. The best way to preserve your mattress warranty is with a protector to protect its physical characteristics and this mattress protector has the added benefit of being a healthy option.White colorMade with Terry Cloth and Polyester Machine washableBarrier against fluids to save your mattress’ warrantyAnti-microbial to protect against dust mites and bacteriaOne size fits all mattress thicknesses10 year manufacturer warranty. Southern Textiles – Mattress Cover – QP0007 – Uncovered mattresses facilitate the perfect conditions for the breeding of dust mites which can cause allergies, asthma, eczema and rhinitis. These dust mites, which are invisible to the naked eye, live on the millions of skin cells and body fluids that humans expel every night. 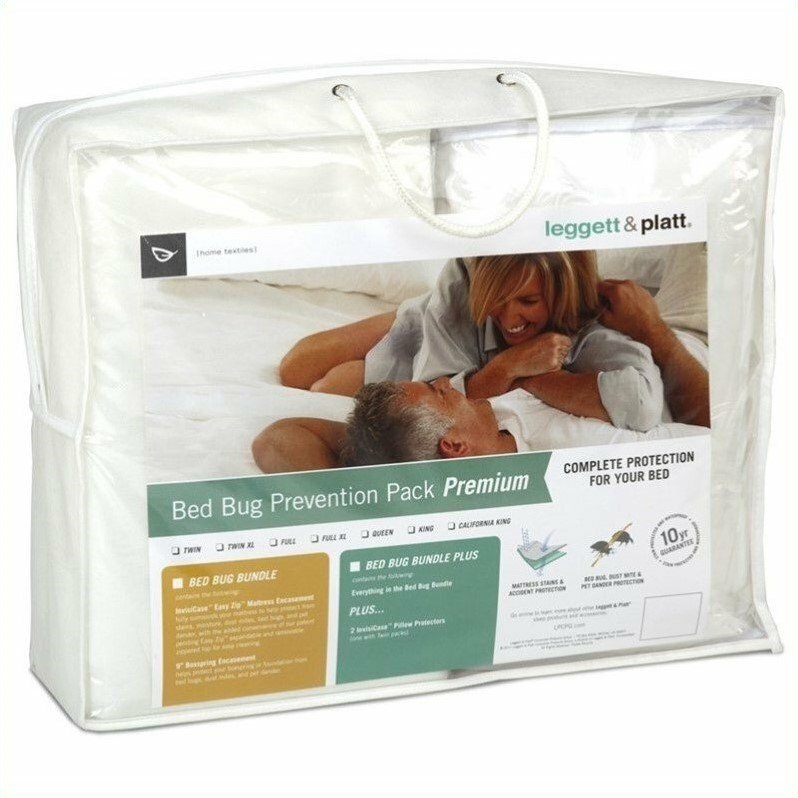 Protect yourself as well as your mattress by covering your mattress, pillows, and box spring with Southern Textiles’ Bed Bug Prevention Pack.Made of 100% polyester face fabric3 sided zipper closureSuper stretch for added comfort and easy fitNon-woven, zippered box spring encasementLuxury oversized comforter. Southern Textiles – Mattress Cover – QP00XX – Uncovered mattresses facilitate the perfect conditions for the breeding of dust mites which can cause allergies, asthma, eczema and rhinitis. These dust mites, which are invisible to the naked eye, live on the millions of skin cells and body fluids that humans expel every night. Protect yourself as well as your mattress by covering your mattress pillows, and box spring with Southern Textiles’ Bed Bug Prevention Pack.Made of 100% polyester face fabricTwin/twin xl include only 1 pillow protectors , while rest size features 2 pillow protectorCalifornia king size features 2 sided zipper closure and rest all size features 3 sided zipper closureSuper stretch for added comfort and easy fitNon-woven, zippered box spring encasementLuxury oversized comforter. Southern Textiles – Mattress Cover – QP0012 – Uncovered mattresses facilitate the perfect conditions for the breeding of dust mites which can cause allergies, asthma, eczema and rhinitis. These dust mites, which are invisible to the naked eye, live on the millions of skin cells and body fluids that humans expel every night. 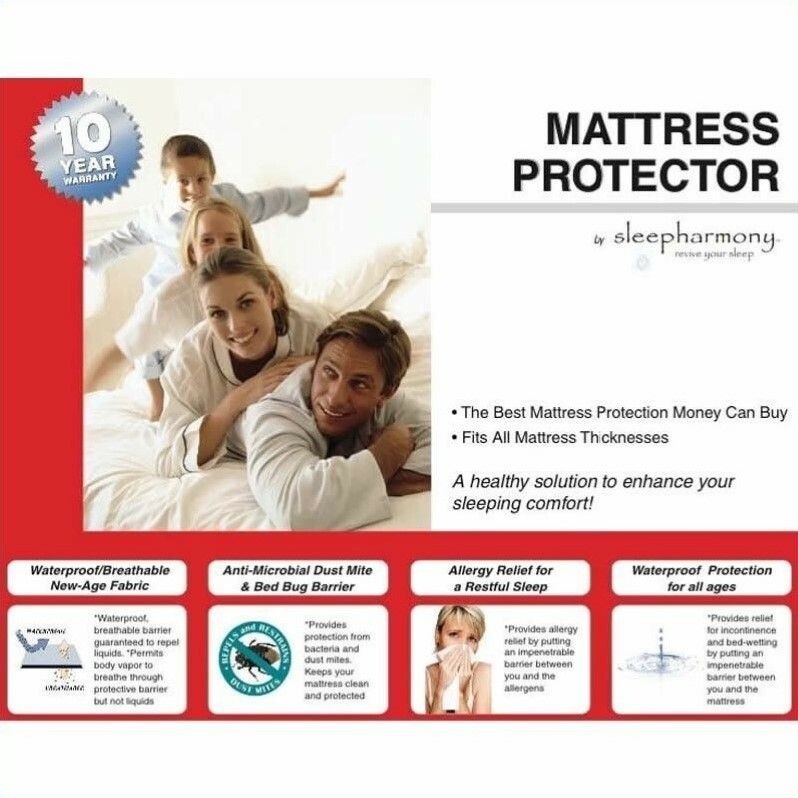 Protect yourself as well as your mattress by covering your mattress, pillows, and box spring with Southern Textiles’ Bed Bug Prevention Pack.Made of 100% polyester face fabric3 sided zipper closureSuper stretch for added comfort and easy fitNon-woven, zippered box spring encasementLuxury oversized comforter. Southern Textiles – Mattress Cover – QP0019 – Uncovered mattresses facilitate the perfect conditions for the breeding of dust mites which can cause allergies, asthma, eczema and rhinitis. These dust mites, which are invisible to the naked eye, live on the millions of skin cells and body fluids that humans expel every night. Protect yourself as well as your mattress by covering your mattress pillows, and box spring with Southern Textiles’ Bed Bug Prevention Pack.Made of 100% polyester face fabricTwin/twin xl include only 1 pillow protectors , while rest size features 2 pillow protectorCalifornia king size features 2 sided zipper closure and rest all size features 3 sided zipper closureSuper stretch for added comfort and easy fitNon-woven, zippered box spring encasementLuxury oversized comforter. Southern Textiles – Mattress Cover – QP0017 – Uncovered mattresses facilitate the perfect conditions for the breeding of dust mites which can cause allergies, asthma, eczema and rhinitis. These dust mites, which are invisible to the naked eye, live on the millions of skin cells and body fluids that humans expel every night. Protect yourself as well as your mattress by covering your mattress and box spring with Southern Textiles’ Bed Bug Prevention Pack.Made of high performance 100% polyester face fabricFeatures complete bed bug prevention in one easy packCalifornia king size features 2 sided zipper closure and rest all size features 3 sided zipper closureSuper stretch for added comfort and easy fitNon-woven, zippered box spring encasementLuxury oversized comforter. Southern Textiles – Mattress Cover – QD0226 – Southern Textiles Nonwoven 1 or 2 Piece Zippered Box Spring Encasement is made of 100% polypropylene. It provides a clean and hygienic sleeping environment, and protects box spring from bed bugs, dust mites, allergens and pet dander. 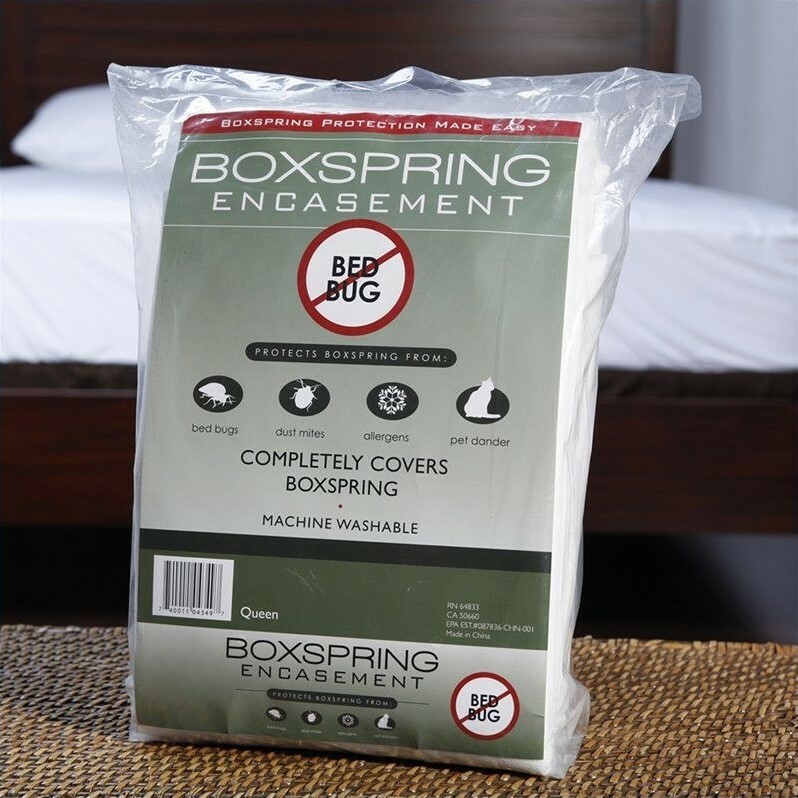 Machine washable.Made of 100% polypropyleneComplete surround box spring encasement to protect from stainsProvides a clean and hygienic sleeping environmentProtects box spring from bed bugs, dust mites, allergens and pet danderMachine washable. Southern Textiles – Mattress Cover – QP00XXBEDBUGPREVPCKBUNDLE – Uncovered mattresses facilitate the perfect conditions for the breeding of dust mites which can cause allergies, asthma, eczema and rhinitis. These dust mites, which are invisible to the naked eye, live on the millions of skin cells and body fluids that humans expel every night. Protect yourself as well as your mattress by covering your mattress and box spring with Southern Textiles’ Bed Bug Prevention Pack.Made of high performance 100% polyester face fabricFeatures complete bed bug prevention in one easy packCalifornia king size features 2 sided zipper closure and rest all size features 3 sided zipper closureSuper stretch for added comfort and easy fitNon-woven, zippered box spring encasementLuxury oversized comforter.